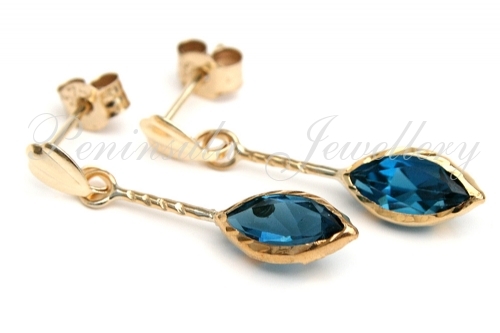 Classic style drop earrings featuring 8x4mm marquise cut London Blue Topaz gemstones, suspended on rope effect posts, with 9ct gold fittings. 22mm drop. Standard posts and butterfly backs in solid 9ct gold. Supplied in a luxury gift box. Made in England.